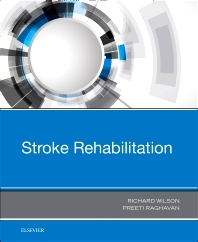 Covers the complete spectrum of stroke rehabilitation – from aphasia to limb impairment to pain syndromes – to facilitate the best outcomes and highest quality of life for your patients. Discusses prevention, predictors of recovery, medication management, depression and psychological issues, and return to work and driving. Includes coverage of robotic technology, brain stimulation, community-based rehabilitation, and children and stroke.